Just in case you ever tire of horticulture, there is a career as a biting editorial cartoonist waiting for you out there. This cartoon is all about me. How did you know? 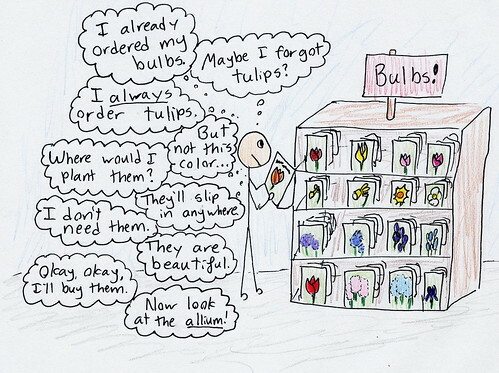 Haha,, that is me at the big box stores! And you can always stuff them in pots if you run out of space in the garden. Or if you run out of time to plant them in the ground before it freezes.